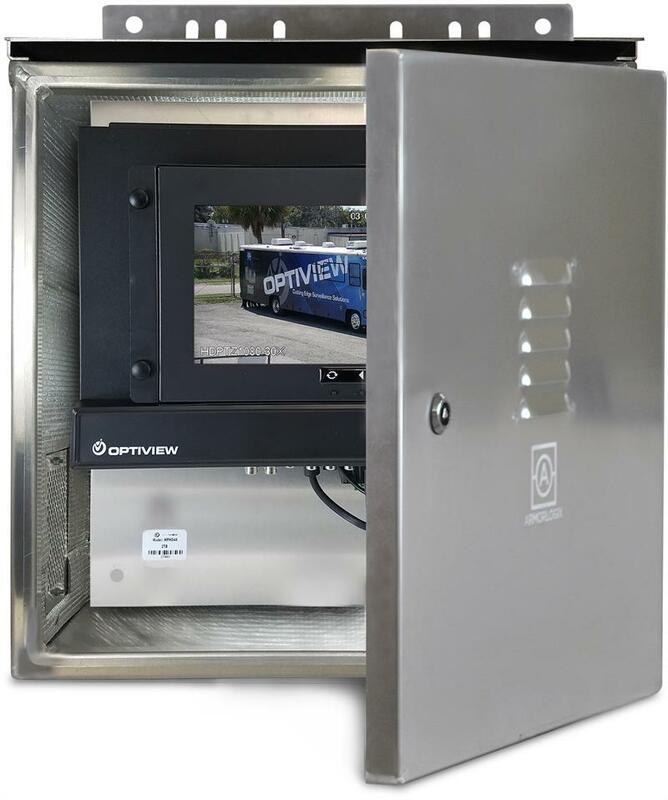 This weatherproof 5-Way DVR package accepts Analog, IP/Megapixel and HD-over-Coax (CVI/TVI/AHD) cameras and includes everything you need for remote site recording. 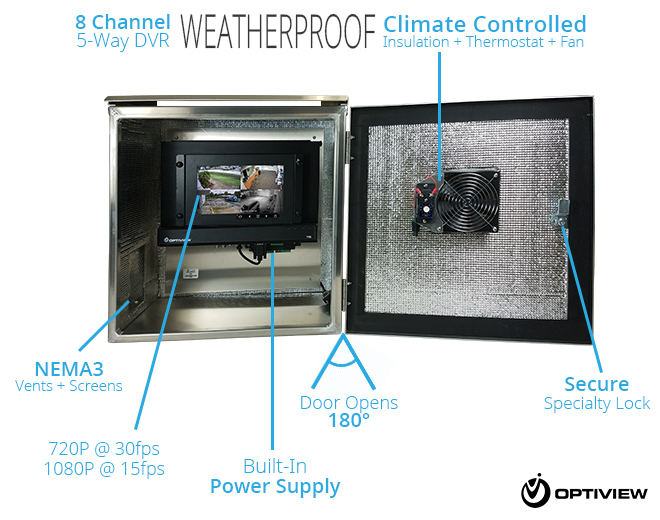 It includes a NEMA rated outdoor enclosure with fan and thermostat, the DHDVR8-Q2 - a full featured H.264 compression DVR for extended record time and faster network transmission - and a 6-outlet power strip for 24V devices like heated housings or PTZ's. 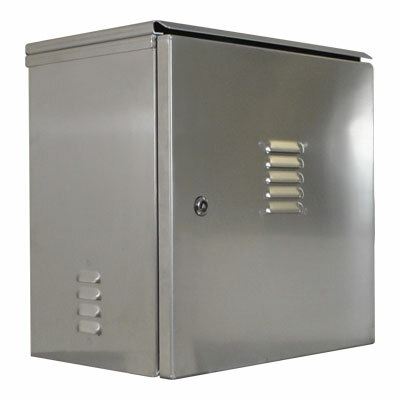 The mounting brackets allow for flush or pole mounting. An additional option is a 5.8 Ghz wireless bridge for transmitting distances up to 1.5 miles over wireless LAN.